Great potential for operating cost savings are hiding in many warehouses! Warehouse lighting can be upgraded to more efficient, longer lasting products with more consistent light levels over time. The most important, and sometimes difficult, surface to be illuminated is the vertical surface in warehouses. Adequate lights is required for safety sake, but must also evenly fall about the vertical face of shelved material to avoid scalloping. Warehouses can employ lighting sources emitting true white color to ensure proper illumination. 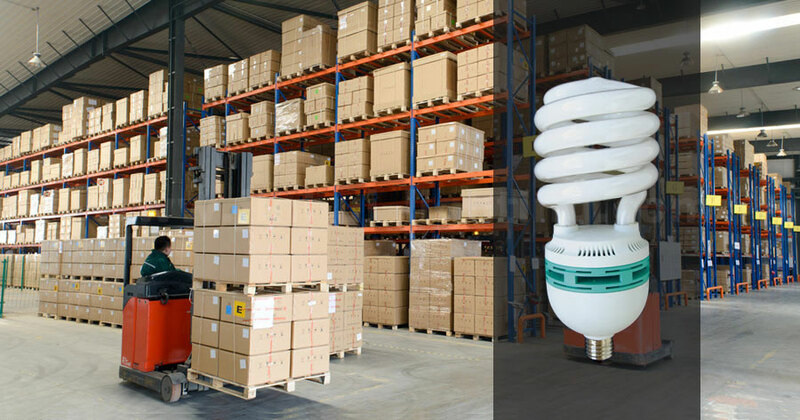 How many compact fluorescent bulbs do you need for your warehouse? 85W compact fluorescent bulb, with CUL /CE listed, with 71lm/w, 6000lm output, long lifespan 8000-10000hours, economic price (LED industial bulb is 5 times higher than 85W compact fluorescent bulb in 2016), E39, E40, E27 available. 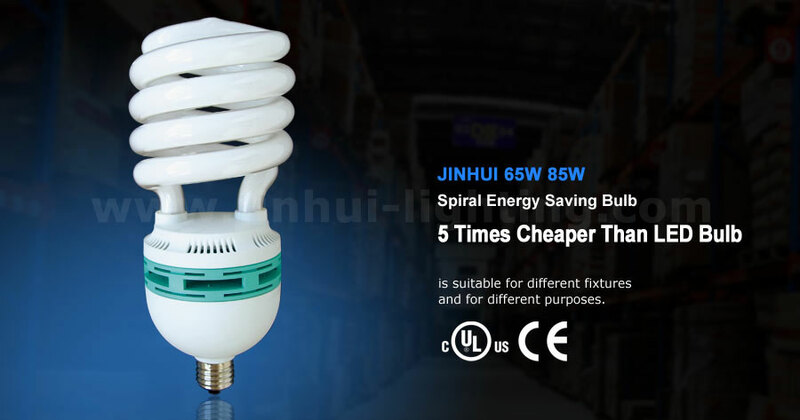 So, 85W spiral CFL is very suitable for warehouse and supermarkets, as a industrial bulb. Before make a choice for CFB or LED bulb. Let’s make an basic analysis table for the advantage of these two kinds of bulbs. From above table, we could make some suggestion when selecting the bulb, > 11w items, to use CFB is still more suitable than LED bulb, 85W is the best balance point.